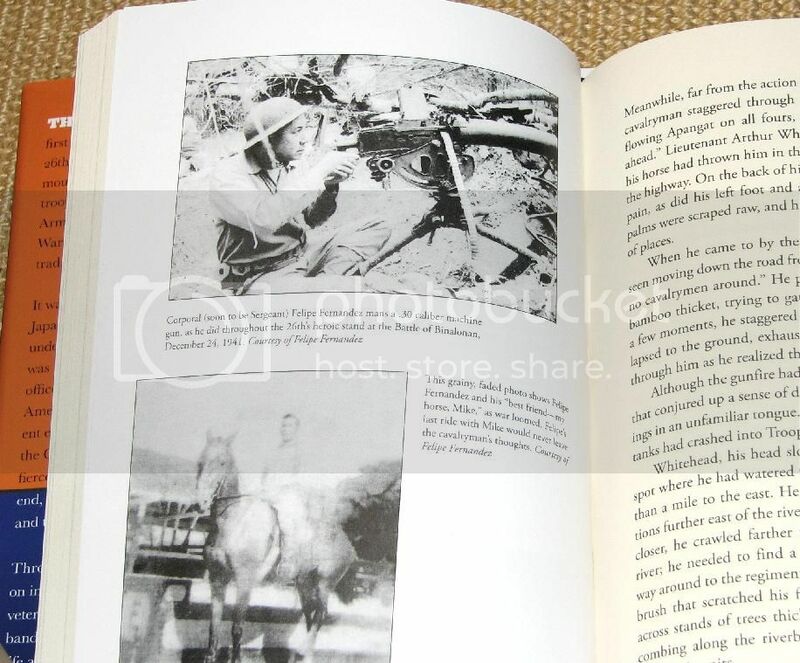 A stunning collision of militaray eras—The heroic and tragic final campaign of the U.S. horseback cavalry against the mechanized Japanese Army of World War II This the first book to chronicle the full drama of the 26th Cavalry's magnificent but doomed mounted campaign against the finest troops, air power, and tanks of the Japanese Army—a long-neglected episode of World War II that marked the end of the grand tradition of the U.S. horseback cavalry. It was shortly after Pearl Harbor, and the Japanese invasion of the Philippines was underway. Among the Philippines' defenses was a group of Filipino noncommissioned officers and enlisted men, led by white American officers. They were from a different era—trained to fight on horseback as had the Cavalry in the Civil War. They battled fiercely against their Japanese foes but were, in the end, forced to slaughter their mounts and to give up the fight. 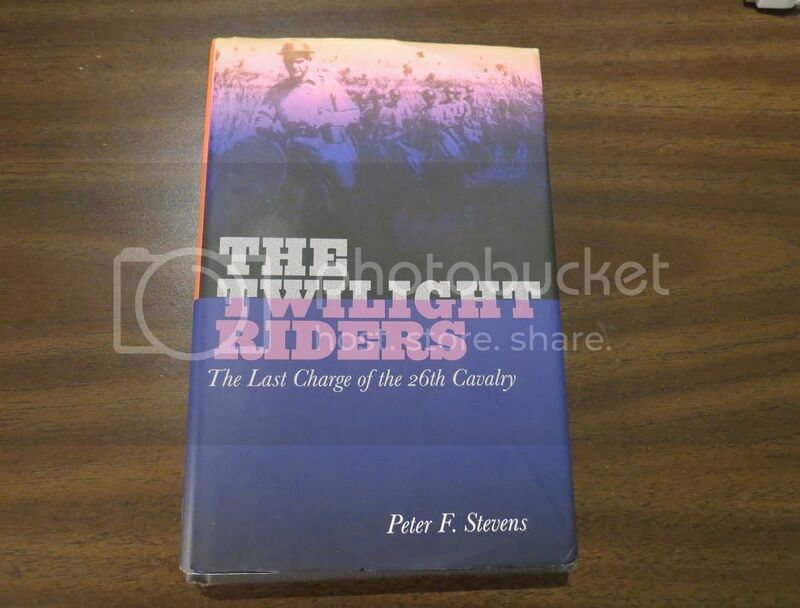 Through extensive research based in part on in-depth interviews with 26th Cavalry veterans, author Peter F. Stevens brings this band of brothers and their beloved horses to life as they rode, fought, and bled together in the desperate, doomed struggle to stem the Imperial Japanese Army. Peter F. Stevens is the news and features editor of "The Boston Irish Reporter" and the award-winning author of several books, including "The Voyage of the Catalpa." He lives in Boston, Massachusetts. This is the story of the 26th Cavalry Regiment in the Philippines from December 8, 1941 until January 22, 1942. Although the Regiment fought on until the fall of Bataan and beyond, the author wisely chose that date to end his story because that is when the Regiment surrendered their horses to the Quartermaster Corps and fought on as infantry and mechanized troops. So what you have is the last battle of American horseborne troops. And what a story it is! It is the story of an American anabasis as the Regiment moves to the northern edge of Luzon to meet the Japanese invasion and then, when other units collapse, moves back to Bataan, fighting holding actions, blocking Japanses flanking movements and serving as a fire brigade to block holes in the line. The author has done a magnificent job of interviewing survivors and culling soldiers' memoirs to make the story come alive. Most impressive of all is his correspondence with Sergeant Felipe Fernandez, a young soldier who went on to become a guerilla and then a career U.S. Army officer. The author makes the wise decision to quote Sergeant Fernandez' bluff honest warrior's prose as he discusses the campaign and his beloved horse, Mike. 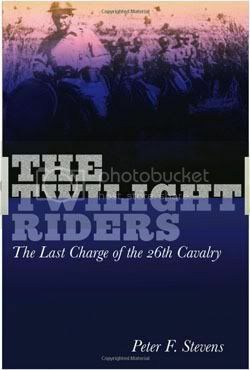 More than any other book about cavalry I've ever read, The Twilight Riders illuminated for me the bond between man and horse in the midst of battle. I understood for the first time just how special the relationship was. That makes the ending of the book truly heartbreaking. 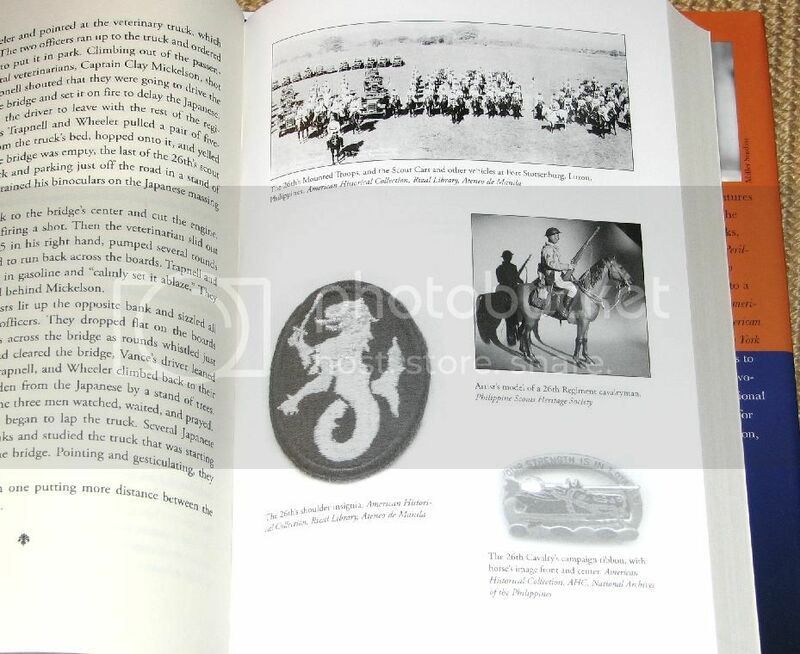 The publisher has included a fine set of rarely seen photos of the Philippine campaign, but has failed to include any maps; it is therefore advisable to read the book with reference to the maps in Louis Morton's official history of the campaign, so that one may follow the action. The absence of maps is somewhat odd, since the maps in Morton's now hard to find volume are in the public domain and the cost would not have been great. The publisher should have gone all out for a book this special. In the 1820's William Wordsworth happened upon a farm in which a number of retired British Army cavalry mounts, veterans of the Waterloo campaign, had been put out to pasture. The horses spent their days,with no human compulsion at all, lining up in order of battle on one side of the pasture and charging across the field, reliving their days of glory. I always wondered whether Wordsworth employed poetic license in this story, but after reading The Twilight Riders and the story of the men and horses of the 26th Cavalry Regiment, I know that it was true. It's also available on ebay. I orderd mine from Book Depository FREE SHIPPING!!! I hope they make a movie of it. "Twilight Riders" it sounds great. YESSS we need a film about this legendary charge into US and Philippine History. I also ordered. Amazon with shipping $20.46. USA shipping. The 26th Cavalry Regiment was a horse-mounted Philippine Scout unit in the U.S. Army at the outset of World War II. General Douglas MacArthur initially expected the Japanese to land in the Lingayen Gulf on the west-central beaches on Luzon in the Philippines, but when the Japanese made a surprise landing on the northernmost tip of Luzon in December 1941, he sent the highly mobile 26th Regiment north to engage them. Comprised of American officers and Filipino soldiers and reinforced by a handful of M-3 Jeb Stuart tanks, scout cars and motorcycles, the well-trained regiment went into battle on December 22 against massed columns of Japanese infantry and tanks. Out of about 800 men, the 26th suffered twenty percent casualties and another “several hundred” missing in the first day’s fighting. In subsequent days the regiment covered the withdrawal of MacArthur’s forces and offered heroic resistance against constant enemy pressure and air attacks. 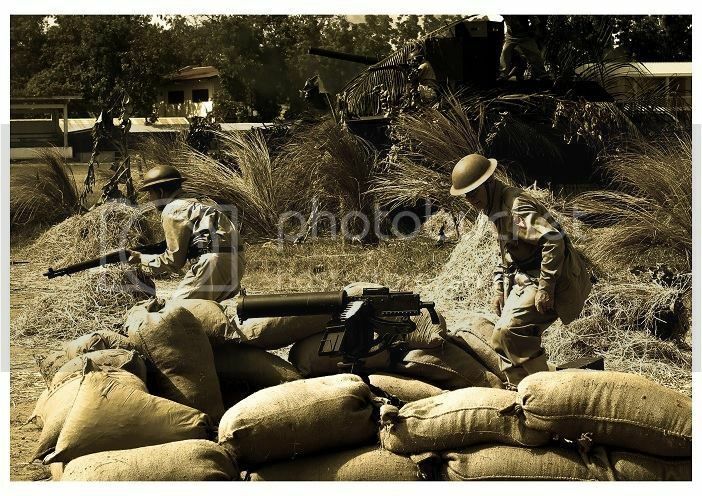 Again and again, the mounted troops marched rearward through tough terrain, occupied new positions, opened fire and then withdrew after inflicting heavy casualties on the enemy. One of the regiment’s officers estimated 12 Japanese casualties for each casualty in the 26th Regiment. Finally, in early January, MacArthur’s forces established a semblance of a defensive line across the Bataan peninsula. The exhausted soldiers and horses of the 26th Regiment were among the last to stagger into Bataan. In mid-January, the Japanese penetrated MacArthur’s shallow defenses and threatened to overwhelm his forces. With only 400 men and 150 horses remaining, the regiment launched a mounted charge against scores of Japanese infantry near Morong on January 16. Lieutenant Ed Ramsey, who led the charge, later said, “To them, we must have seemed a vision from another century, wild-eyed horses pounding headlong; cheering, whooping men firing from saddles....” It was the last charge of the U.S. Cavalry and the end of an era in American history. Brief elation, however, was not followed by victory. As the Japanese tightened the noose around Bataan, disease and hunger weakened the defenders. Finally, with no choices remaining, the surviving cavalrymen were forced to give up their magnificent steeds to the quartermaster to be slaughtered and eaten. For some of the soldiers, this was a fate worse than death. The horses had never failed them, and now the soldiers had to accept their being butchered. Peter F. Stevens’ account of the 26th Cavalry during these trying days truly brings history to life. His well-written book begins with a description of the enjoyable life of the cavalrymen before the Japanese invasion, follows the bloody fighting and increasingly difficult days in subsequent weeks, and ends with the soldiers giving up their horses and fighting on foot. Throughout the narrative, the author conveys the true love and respect the soldiers had for their horses. He demonstrates that, despite the defeat in the Philippines, the performance of the 26th Cavalry was a fine, memorable final chapter in the great history and traditions of the U.S. Cavalry. 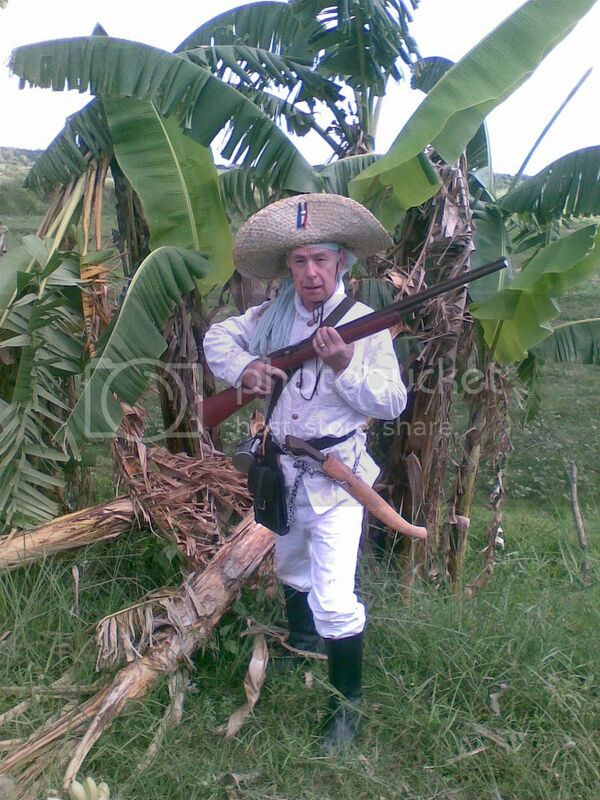 and tadaa... there was a photo of one of our reenactor friends Jay Pecson from the Louisa, VA event, captions as being Felipe Fernandez in Bataan! Still we have a lot to thank the author for, writing a book about the 26th's exploits. I can't wait to read it. Just like I said, you will pick up all those little mistakes. Also I wish he had a map to see it happening when reading. It was mentioned in a review. Now I see why. Enjoy. Wondering where the Cabigas boys are at this time with Felipe? I saw copies of it here in Singapore for almost $33. USD. It's good I ordered it for less than $11. plus less. Your order arrived what within 24 Hrs? It took me a while to finish the book. It was well done and did the 26th justice. It was touching especially at the end. I was teary eyed. There were some errors in the book, nothing major but may throw off readers who may not know -- more like a production or editing issue. 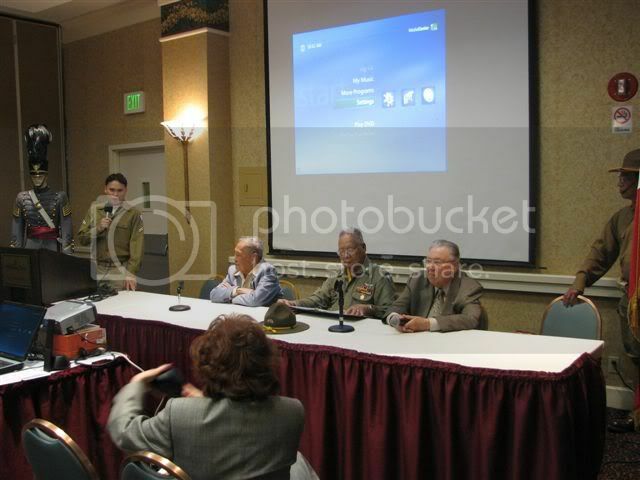 The epilogue mentioned the PSHS reunion in 2009 when Ed Ramsey, Felipe Fernandez, and Dan Figuracion sat down for a panel relating their experiences -- and how it got quiet and emotional when the topic came to having to give up their horses. I wonder if the author was there at that reunion. 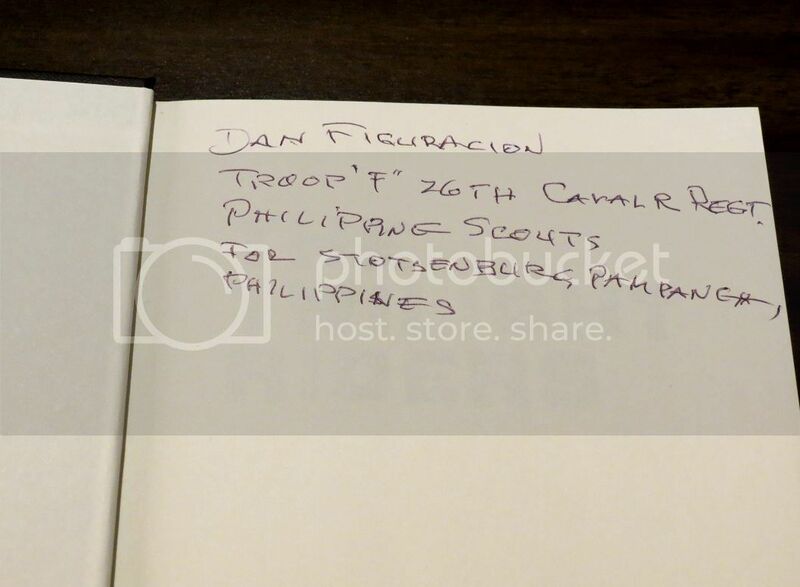 I wish the author could have gotten accounts from Dan Figuracion too since he was in the charge in Morong with Ed Ramsey. Just bought a copy through Abe Books - $18.18, shipping included. Does anybody know if the book is available here in the Philippines? Sure want to read about them. Just read the copy of the book lent by Guy Hilbero (exec. officer, 26th U.S. Cav. P.S. Memorial Regt. Ft. Stotsenburg, Angeles City, Pam. Phil. Many members of the reenactment groups here have copies , so not too hard to get in the Phils. A very GOOD READ! Exciting also for me was the fact that it all happened around my wife's family area of Porac, Pam., Talac, and the farm at Tucop, Bataan. My father in Law was in the D co. 3rd BN, NWPMD and as 1st Sergeant led a company of guerrillas under Ramsey's command. he was joined by his younger brother (Uncle Junior) after the eldest Brother die of his wounds in the POW camp at Capus. With my 1 " to the Sq. Mile Pilots map of Central Luzon spread out on the bed I was able to plot the fighting as I read. Found this on youtube... the author talking about the book and the 26th. A good watch. You may have to turn up the volume though.